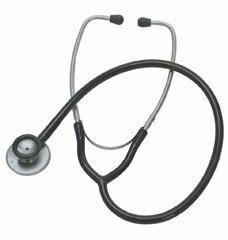 For excellent acoustic performance.Stethoscope with solid flat chest piece. 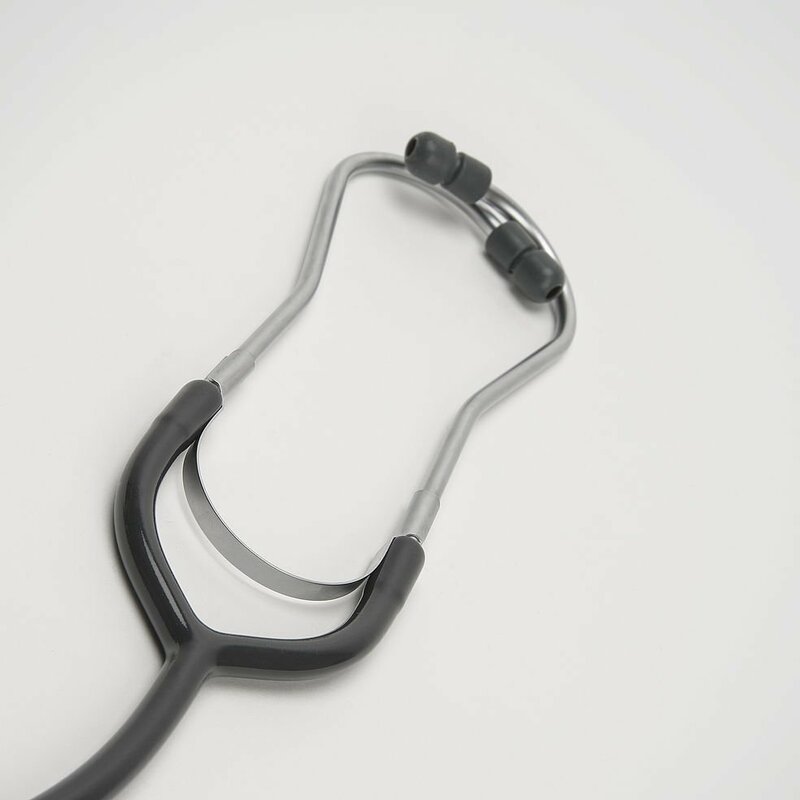 The chest piece can be easily inserted under the sphygmomanometer cuff.High-quality membrane, 44mm. 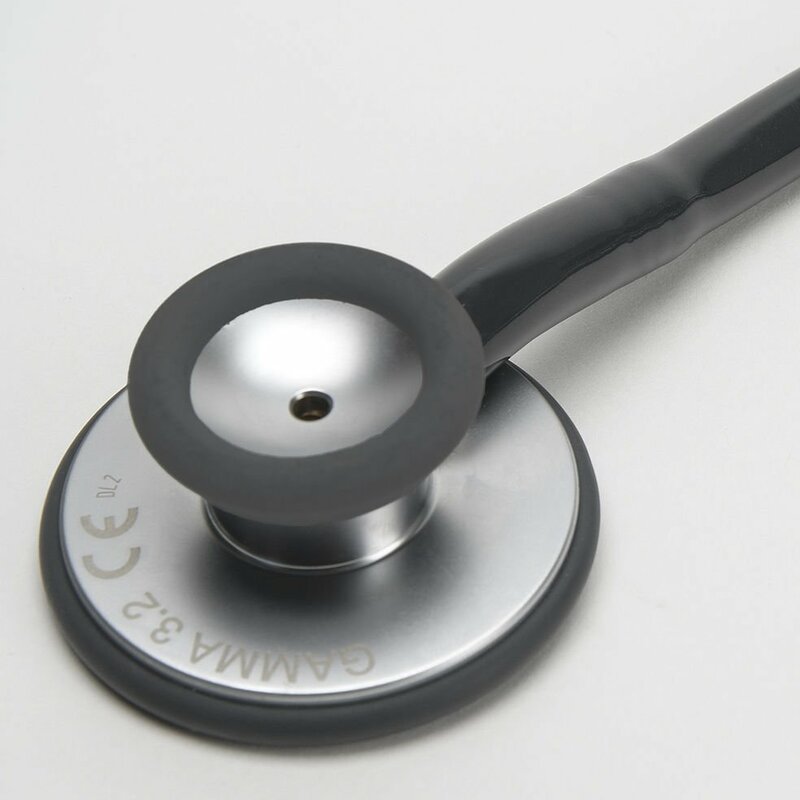 For excellent acoustic performance.Stethoscope with solid flat chest piece for use for adults. 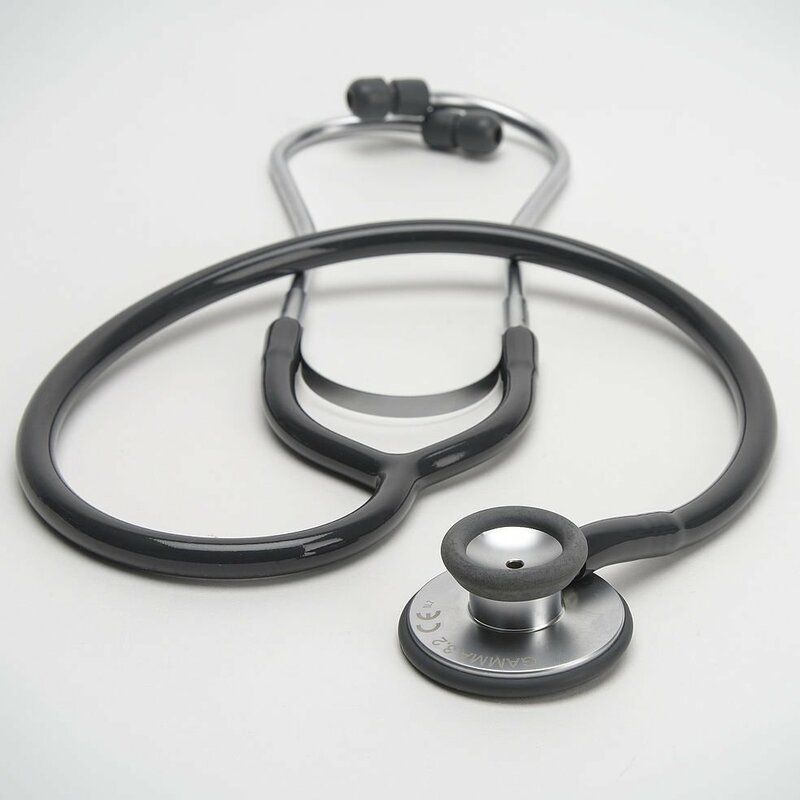 The chest piece can be easily inserted under the sphygmomanometer cuff.High-quality membrane, 44mm.Single-tube construction with excellent sound transmission.Includes ear olives (small /hard) for sound insulation.Optional available: Ear olives, large/softCombined double chest piece with two different frequency ranges to choose from: A high-quality membrane on one side and a conical acoustic head on the other side.High-quality membrane, 44mm diameter for excellent acoustic performance and sound transmission.Cone diameter 30mm.